It was a phenomenon of the American frontier that the westward-moving line of settlement made and remade the environments they found in familiar forms: leaving home, we have psychologically “packed” much of it for the journey. “Fall at the Hurdle” may be small evidence of that. 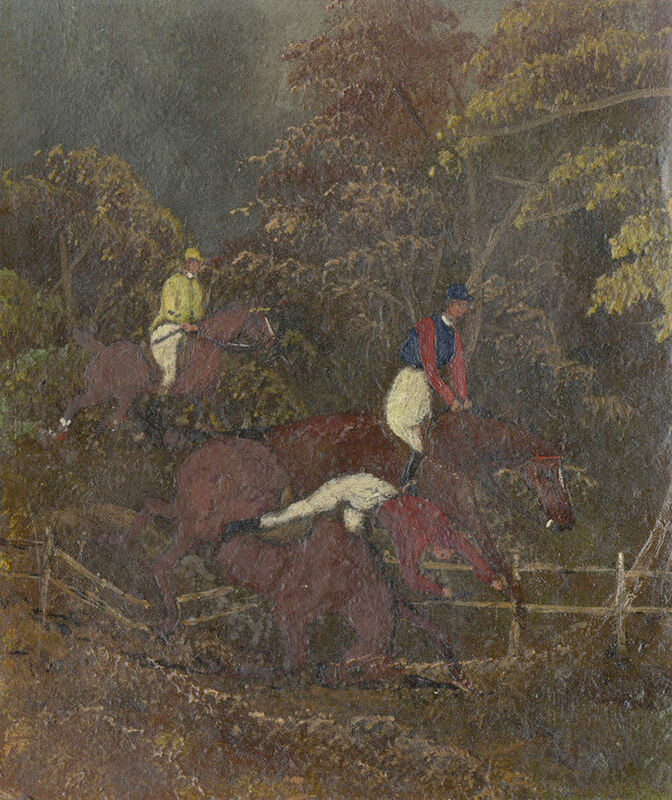 Looking as much like tapestry as it does an oil-on-board painting, Richard’s depiction of upper-class horsemanship seems both foreign and quaint in the early 21st century. Yet late in the 19th a British colony at LeMars “rode to hounds,” enjoyed the civility of high tea each afternoon, and held high Anglican service at Grace church. This small painting, acquired in 1990 at an estate sale in Larchwood, is a likely survivor of that curious chapter in Iowa state history. For many of us, design is grounded in intuition. [Is that a contradiction in terms?] I can’t speak for those who claim logic as their guiding light—the Mies van der Rohes of slim acquaintance—but, frankly, I’m not certain that even Mies would claim that niche. So, in the spirit of “the way things work,” I have to wonder why I was drawn to this painting. It’s certainly not museum quality. But only after acquiring “Fall at the Hurdle” did the possibility of its link with the LeMars Colony come to mind. Anyone who has studied the early Episcopal church buildings of Dakota Territory probably knows the strong link with Britons who had come here to escape the social proscriptions of their class at home: Dakota was a place to behave in ways thought unseemly in Great Britain. The second reason for emigration from England and Scotland was the potential for investment and chief among those visitors was Richard Sykes, a Lancashireman, fifth son of a landed family settled near Liverpool who eventually owned 75,000 acres of northern Dakota. That’s a lot of sections. And Sykes found his way here courtesy of the Close Brothers, Britons who owned substantial portions of northwestern Iowa and southwestern Minnesota. The Close Brothers’ colony was centered around the town of Larchwood, though LeMars is more closely linked with their name. As I admired “Fall at the Hurdle” and wondered how to weave it into the narrative of the Community Connection, I suddenly recalled LeMars and its provenance was sealed. Born in England, James Heseldin arrived in the United States just prior to World War I. He used his artistic skills to support the war effort, working as a camoufleur in World War I. When the war ended, Heseldin served an apprentice in a New York architectural firm, and his subsequent paintings reveal his skill as a master draftsman. His watercolors depict New York monuments built at a triumphant moment in our nation’s economic and architectural history, serving as a beautiful rendition of the city’s grandeur. Heseldin eventually became an American citizen, although he returned to England at the end of his life. 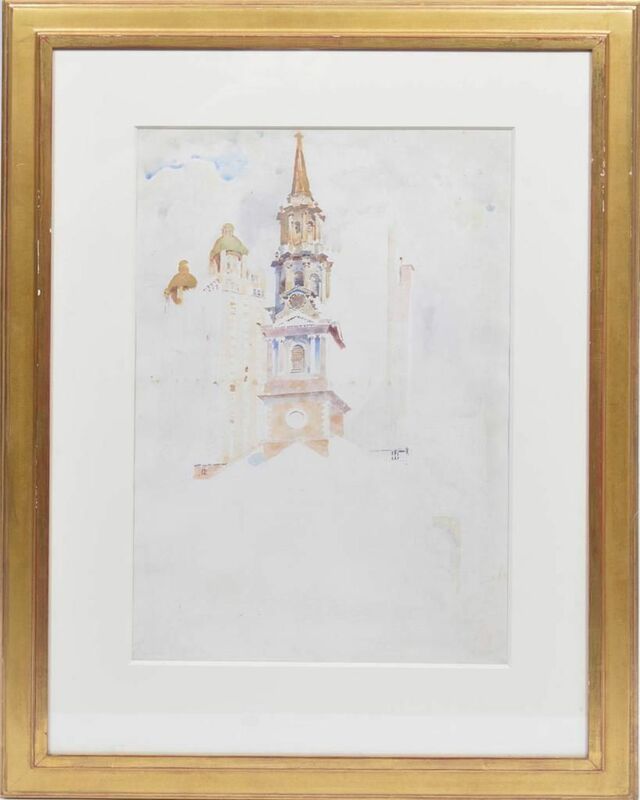 The Heseldin becomes more interesting when paired with Edward Weise’s “Saint Martin-in-the-Fields, London” of 1917, another architectural study. This watercolor was once owned by Lucy Tennant Tabor, older sister of architect Anson Tennant, purchased by her after he was thought to have disappeared with RMS Lusitania in 1915. Amity Burroughs Flynn (Mrs Edmund FitzGerald Flynn) survived her husband by several years, during which she made amends for his short but corrosive tenure as mayor of Agincourt. 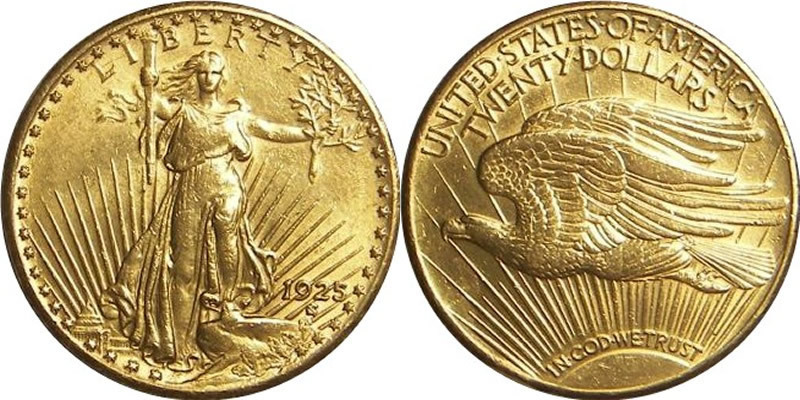 Amity—as she preferred to be called—organized the famous G.A.R. exhibit of 1912, the very gathering of local art that formed the core of our Community Collection. 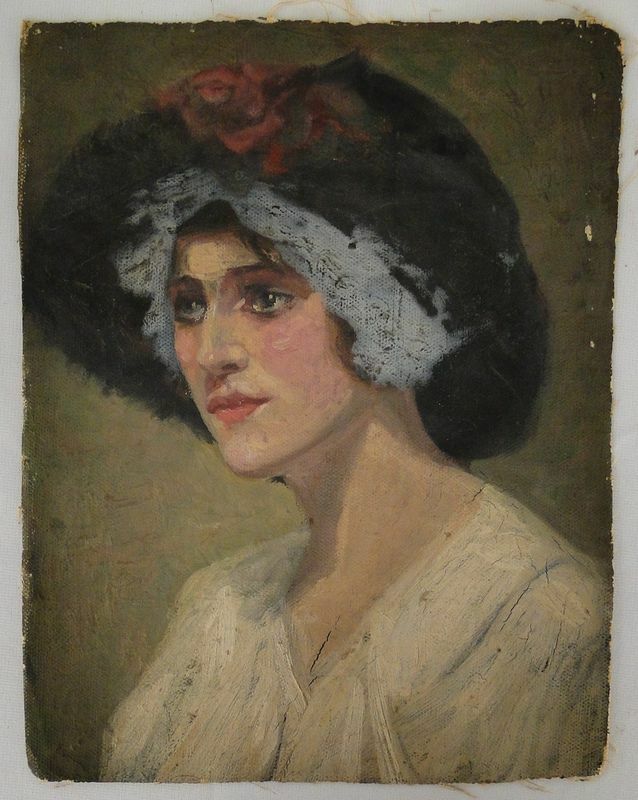 This portrait was painted by New York artist Joseph Newman about 1920, possibly while he was in Europe. Joseph Newman was born in N.Y.C. in 1890. He attended the Pratt Institute and the Adelphi College Art School. Newman served in the U.S. Army during W.W.I. After the war, he married and travelled to Europe. 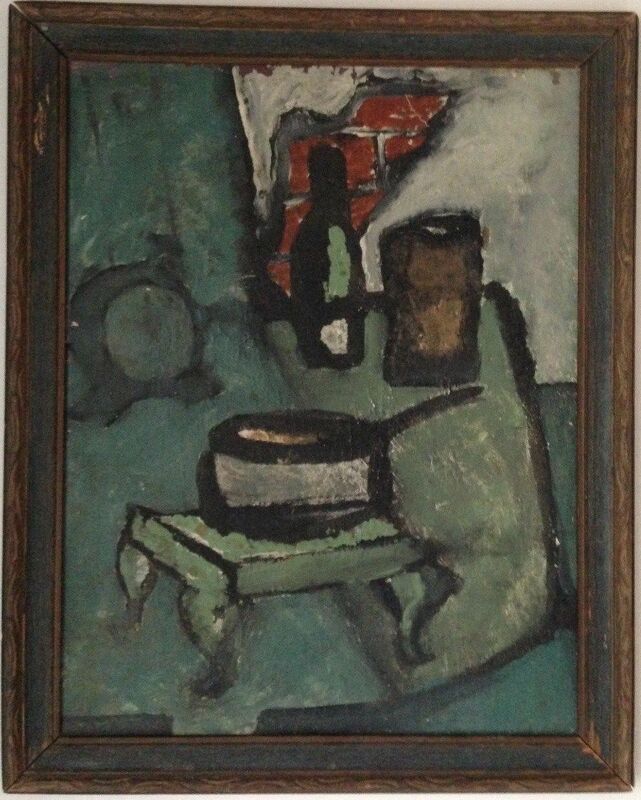 He came home in the mid 1920’s to form, with a group of contemporaries, The Fifteen Gallery in Manhattan. Newman exhibited frequently at the Brooklyn Museum, The National Academy, The Carnegie Institute, The Whitney and The Society of Independent Artists. He was a member of the L.C. Tiffany Foundation, The Salmagundi Club, Rockport Art Association, and the American Watercolor Society. His work is represented in the collections of the Brooklyn Museum, The Newark Museum, the Boston Library, and the Library of Congress. Newman was the recipient of many awards throughout his career. Because the Flynns were childless, Amity’s nephew Jed Burroughs inherited her estate. He gave her portrait to the Community Collection as a memorial, though none was necessary because of her support for the visual arts. 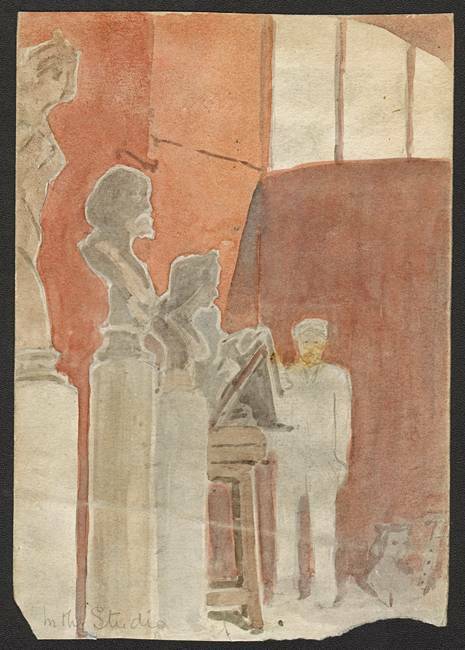 From the collection of Carl Wasserman comes this watercolor sketch by British artist James S. Alderson. When and where he acquired it, however, is unknown and likely to remain that way. Wasserman did travel to Great Britain at least once but whether this was purchased or traded during those visits is unclear. Along with other pieces used as instructional pieces in his studio classes, this was acquired at the time of Wasserman’s death. 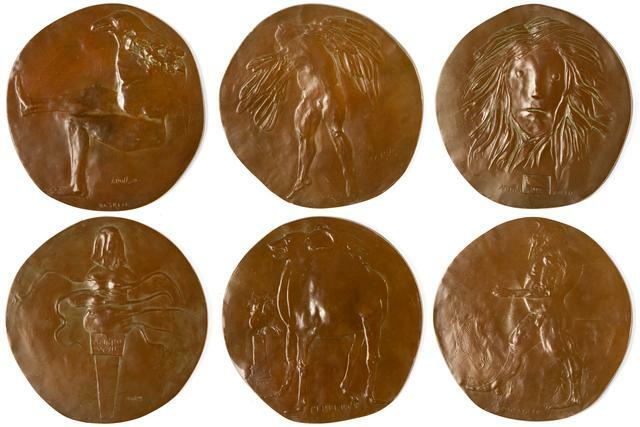 In numismatics, there is this category called medalic art. 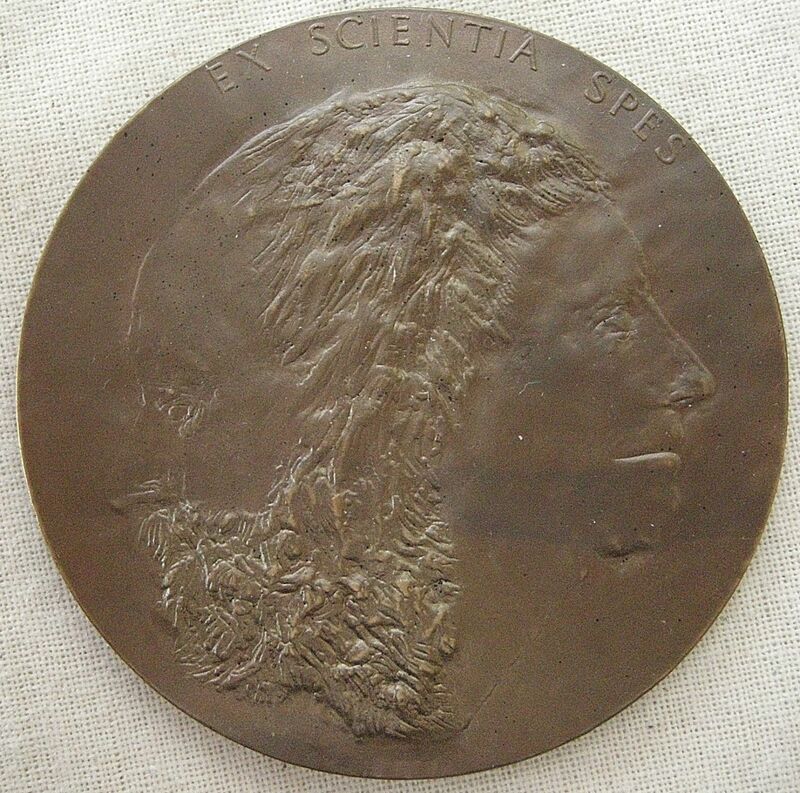 From its platting in 1853 and incorporation four years later in 1857 (hence the sesqui-centennial seven years ago at the Rourke), Agincourt is bound to have commemorated some event through the casting of bronze. I wonder what it might have been. So, anyone with metal casting skills is invited to suggest a project for the upcoming exhibit. I shall be pleased to collaborate. Lives, like particles in physics, can be charmed and strange. I claim both. One afternoon last April, we felt our way through the small town of Alfeld-an-der-Leine in Lower Saxony (distinguished from another Alfeld in Bavaria) just as the setting sun cast its last light where there was any light at all. 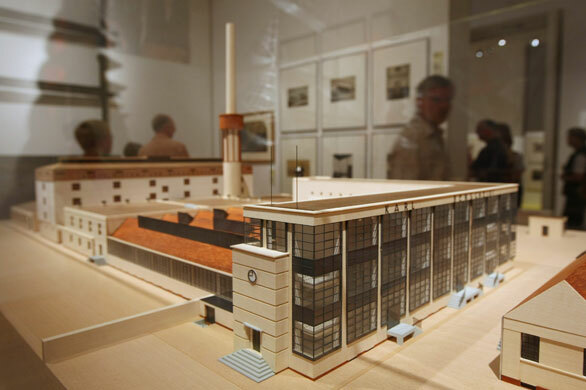 Eventually we reached our goal: Walter Gropius’s 1911 Fagus Werk, some administrative offices and production space for an important German shoe manufacturer. Approaching the factory gate at about 5:15, the plant had already closed for the day. But the gates were still ajar, so I approached the guardhouse, hoping the night watchman spoke a little English. Beyond bitte schön, bier and a few useful terms in restaurants, I’m at a loss to be little more than courteous to German speakers. I explained that we—my friends Richard, Jeremiah and myself—understood the grounds were closed for the day, but would it be at all possible to at least step a few meters inside the fence and take photos, while the light still allowed, of Herr Gropius’s iconic administration building. He said certainly and I waved Richard and J.J. through the gate after me. The peachy brick was almost orange in the last light of day. We had only moments. As we did what architecturistas do, I watched a short barrel of a man—who might easily have been an extra in “Lord of the Rings”—approach us from the guardhouse. We were about to be expelled, I feared, but instead, without any English on his part, I understood he was asking us to follow him to the on-site museum (of whose existence we were clueless). He on a forklift and we in our rental car, the convoy drove counterclockwise behind the factory, parked and walked toward a service door in an older part of the plant. 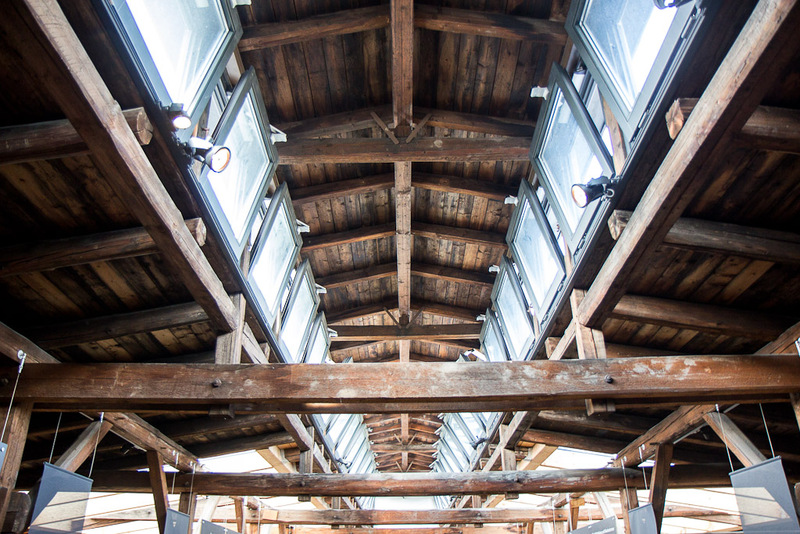 He gestured to follow and we found ourselves passing through a locker-room of sorts and then through a fire door into the ground floor of a four-story heavy-timber building that must at one time have been a factory itself. Miraculously, it had become the lobby of a marvelous world-class museum whose extent we could only guess. Our husky friend indicated with a few gestures and fewer words that we were free to enjoy its wonders. We rode the elevator to the top. 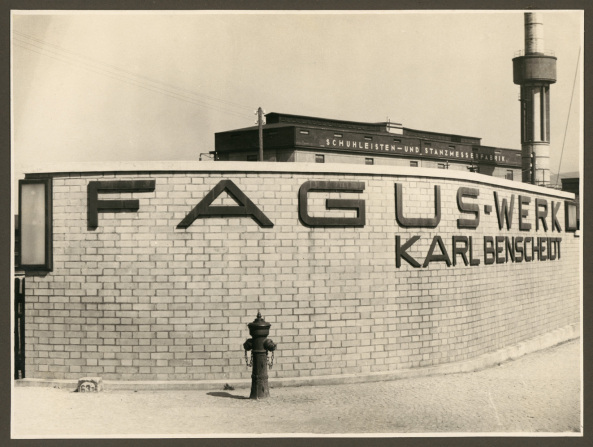 Four floors and two hours later, we learned the importance of shoe manufacture in the pre-WWI German economy and the character of Carl Benscheidt (1858–1947) who founded the Fagus company in 1910. [We learned, coincidentally, of an enlightened business perspective that would have seemed alien, even incomprehensible, to the executives of Bain Capitol Ventures.] Not once during our visit did we see another person; not once were we asked to pay an entrance fee; not once were we interrogated about how the hell we’d got beyond the security checkpoint. It was dark when we left, driving past the guard and waving a grateful thanks from three American tourists who’d encountered hospitality rarely found at home. Would that Agincourt had such an attitude.